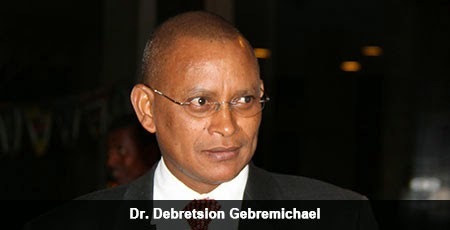 Ethiopia will not open up its telecommunications, banking and power sectors any time soon, according to Dr. Debretsion Gebremichael, Deputy Prime Minister and Minister of Communication and Information Technology.In an exclusive interview with Capital, Debretsion said that Ethiopia is not yet ready to open those sectors partially or fully any time soon. “We have to develop all the areas in the country. The rural population should get access to electricity and telecommunications infrastructure. Before we accomplish this we will not open them up,” Debretsion told Capital. The country will open up those sectors to international competition when it is ready. “When our capacity increases, then we will open up, because then we can compete,” Debretsion added. Ethiopia is at the early stages of development, the deputy prime minister went on to explain, adding that strong control from the government should be applied to protect these services. However international organizations such as the World Bank disagree. “Ethiopia needs to open its financial sector in order to maintain the fast economic growth the country has registered for the last ten years. There are some necessary risks, and financial integration is a necessary risk. Ethiopia currently does not have a financial sector that has integrated with the rest of the world,” states the World Bank’s 2014 World Development Report. “Other countries that have been growing at the same rate as Ethiopia have been able to sustain the level of growth only by integration. The question is how you manage the integration and that is where some of the lessons from international experiences can be used,” the report further suggests. Debretsion argues this saying that the country maintains its growth because it was not part of the world’s financial system. “If we were part of the international financial system we would have collapsed during the financial crisis,” he said. A French high official also agrees with Debretsion. “The country should first build its muscles on these sectors, then it can allow outside markets to these sectors. Otherwise they will be swallowed by the much stronger international companies,” the French official who commented on conditions of anonymity said. The power sector is already open for private investment and it is a bit surprising Debretion miss this important development.